Anna Hamilton, operator of local supper club Alright Treacle and Time Out Edinburgh's resident foodie correspondent, offers her guide to the city's best bakeries ahead of the Easter weekend - just in time to stock up on your hot cross buns. 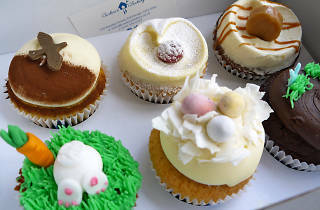 150 Dundas Street, Edinburgh, EH3 5DQ, cuckoosbakery.co.uk, 0131 556 6224. Open Tue-Thu 10am-5.30pm, Fri-Sat 10am-6pm, Sun 11am-5pm. 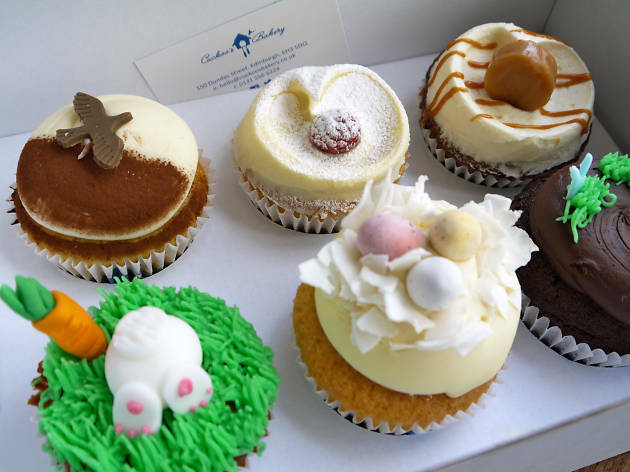 If you want picture-perfect, deliciously tasty cupcakes, then look no further than Cuckoo’s Bakery, founded by long-term pals Vidya Sarjoo and Graham Savage. They set up the shop four years ago with a clear vision of selling quality, unique and fresh treats, which seems to be a perfect combination as they’re just about to open a new location in Bruntsfield. Cuckoo’s team of bakers work through the night to create lots of exciting weekly specials, as well as classics such as their white chocolate and raspberry cupcake, which won the award for ‘best individual cake in Scotland’ by the Scottish Bakers Association, an accolade well deserved for this delightful wee morsel. 22-24 Easter Road, Edinburgh, EH7 5RG, themannahousebakery.co.uk, 0131 652 2349. Open Mon-Sat 8am-6pm, Sun 9am-5pm. The Manna House Bakery has been providing Edinburgh with fantastically fresh bakes for almost 10 years. Founded by journeyman baker Andrew Massey, the shop has clarity and charm in abundance, and, like the 24-hour beigel shops on London's Brick Lane, which it reminded me of so much, Manna House bakers work all hours to create daily loaves and patisserie for their increasingly loyal following. Bakes include a bespoke Innis & Gunn sourdough loaf, sweet layered pastries, and one of the best (albeit rustic looking) hot crossed buns I’ve ever eaten. 42 London Street, Edinburgh, EH3 6LX, casaangelina.co.uk, 0131 558 1002. Open Tue-Fri 10am-6pm, Sat-Sun 11am-6pm. Casa Angelina is like a ‘down the rabbit hole’ experience - not an easy location to find, but once you walk down the steps of 42 London Street, like Alice, you arrive at a quirky, underground tea party. Opened two years ago by Marie Clare Semeraro, Casa Angelina specialises in vintage tea parties (dressing-up box included!) as well as freshly made treats, including signature crowd pleasers like frangipane tarts, camp meringues doused in edible glitter, and uber rich white chocolate chunk brownies. The shop also prides itself on being able to cater for all dietary requirements, including at least three gluten-free bakes each day, healthier vegetable based cakes, and the option of an impressive all-vegan tea party. 22 Grindlay Street, Edinburgh, EH3 9AP, mademoisellemacaron.co.uk, 0131 228 4059. Open Tue-Fri 11am-7pm, Sat 10am-7pm, Sun 10am-5pm. If you want the joy of opening a box of brightly coloured jewels without breaking the bank, then macarons are the perfect option, or so I found after recently stumbling across Mademoiselle Macaron on Rue Grindlay. After deciding to change career paths two years ago, founder Rachel Hanretty started baking these little French delicacies from home, before opening her shop last May. Flavours are slightly limited but totally scrumptious and include a mindblowingingly moreish salted caramel, as well as classic combinations like vanilla, pistachio or rose. You will often find me sitting in Lovecrumbs, tucking into a deliciously fresh bake having a ‘meeting’ (aka cake scoffing session) with someone. Originally considered to be too large a space by founders Hollie Reid and Rachel Morgan, they’re now usually full to the (tastefully corniced) rafters with people all looking for one thing – cakey, bakey goodness. Standing true to their original belief of focusing on all things sweet (apart from the humble cheese scone), Lovecrumbs has cemented itself as Edinburgh’s premier cake-only cake shop, which, as well as the classics, has allowed for some really exciting and creative bakes, including bacon and chocolate sponge, and lavender, goat’s cheese and Scottish honey cake, all with their signature swirl. Alright Treacle is a supper club that operates on Saturday nights from an Edinburgh city centre location. Their next event is on Saturday April 11 - visit alright-treacle.com for more info and booking. In addition to Alright Treacle, Anna also blogs about food at itsrudetostare.com and tweets @alrighttreacles.